Hi, want to know the latest 21 must have Best Top rooted app for android devices 2017? 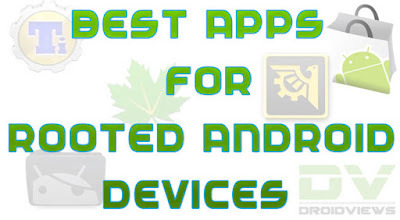 I’m going to show y’all the 21 best must have rooted apps for android devices in this article. Adblock Plus: This app is mostly used in android devices to get rid of annoying adverts while browsing the internet. You can use this app in blocking ads by Google as well as pop ups. Titanium Backup: This application is an android app, which deals with the backing up of sms, mms and other messaging programs on android smart phones. ES File Explorer: This is one of the best root android app, this app is available on the Google play store. With this app you can access all your files without installing any external application. Flashify: This is also one of the best rooted apps. Its function is to flash and as well reboot your device. When I mean flash I doesn’t mean flash light, what I actually meant is that it’s a recovery tool which you can use on your android device. Device Control: Device control app is that kind of app which helps in boosting up android devices. It comprises of App manager and much more amazing and useful apps. Etc. it as well rename icons name on android device home screen and as well manage device performance. Busy Box: This app I an amazing rooted app for android devices because of the unique tools which are embedded in this app. It support additional commands required to run a third party application. App Remover: App remover is latest android rooted app which helps in deleting unwanted applications on android devices. These unwanted applications at times consume and as well reduces battery life. Greenify: This apps deals with the extension of battery life. Its available for download in the Google play store. Xposed Frame Work: This app will allows you to tweak different apps without tampering the original apk of the file. Furthermore, this app manages all application permissions..
Nandroid Manager: This is an android application that has multi task. It serves as backing up tool as well as restoring tool. Its available for download in the Google play store. Rom Manager: This is one of the best must have app rooted android; this app manages and as well fleshes ROM directly from the application without and stress. Boot Animation App: With boot animation app, you can change and download large number of boot animation that matches your taste. This app could be downloaded in the apps store. Fontster: Looking at the name “Fontster”, this app help in managing fonts of your android device. It as well has tons of fonts embedded in it and you can as well create backup for your fonts with the aid of this app. Disk Digger: This is an android recovering tool. This tool helps to get back your deleted files on your android devices. This amazing app accept all kinds of formats and its liable to recover your files and get them saved in the Google drive or drop box and as well send It to your email. Quick Reboot: This is an android app that deals with the booting of android devices. It reboot quickly and easily. Build Prop Editor: This app is a very useful app which is used to edit build prop easily without any stress. Android Terminal Emulator: With this app, you can have access to Linux commands and you can also install the busy box app so as to get much Linux commands. Above are the best 21 Must have Rooted Apps for Android-Latest. Hope you have chosen your choice out of the above listed app. Thanks and stay tuned for more article By GadgetSpirit. After Read Article For Only One Time Check This Website Other Post I am Sure You Will Get More Helpful Articles Of Apps.